Just when you thought the new dynasty called Young Money was unbreakable, it seems their run is over before it really got started. Last night after a concert in University, PA, Drake was kicked out of Young Money after a heated argument with Lil Wayne and Baby. According to sources, tensions have been fueling for the past 2 months over unpaid royalties and Drake wanting to restructure his contract with Cash Money/Young Money. Drake who was not on the bill but was apparently there to make a special appearance but refused to take the stage and all hell broke loose. 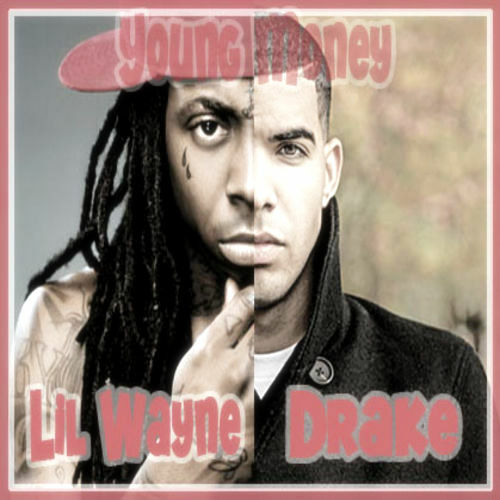 According to sources, during the argument, Drake screamed he was Young Money and if it wasn't for him, the label would have died while Wayne was locked down. Weezy apparently became irate after the statement and replied,"This the thanks I get... We don't fuc*ing need you." Sources stated that a shoving match pursued before both securities stepped in. No word yet on how this will turn out because of the paperwork but we've seen what happened with Young Buck as 50 shelved him despite having hot material proving sometimes its not about the money but the principal.